Diptakirti Chaudhuri, head, marketing, HT Delhi, has been given a new role at HT Media in the digital wing of the company as head, strategy and new businesses, digital business. His position at HT Delhi (that of head, marketing) has been handed over to Parveen Gupta with immediate effect. In this new role, Chaudhuri will be a part of the leadership team of the digital business of the group and will be responsible for working on new category evaluation and its entry. Chaudhuri will report to Amit Garg, business head, digital, HT Media. 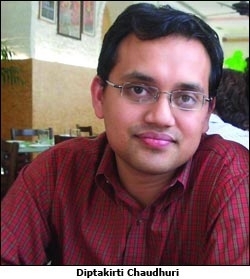 Chaudhuri is a Mechanical Engineering graduate from the Jadavpur University and is an MBA from XLRI, Jamshedpur.